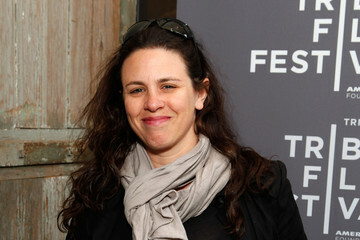 TANYA WEXLER got her MFA at Columbia before making her first feature Finding North (1998). After her second feature it took ten years for her to make the critically acclaimed Hysteria (2011). Keanu Reeves is slated to star in her next film Replicas. After engaging in a twitter discussion with Colin Treverrow about his misguided comment that women simply aren’t interested in directing studio films, according to reports Wexler met up with him in person to open a dialogue of more than 140 characters concerning the issue.